OMG…how ridiculously cute is this?! Is there anything they won’t put Hello Kitty on? I think not, and I love it. 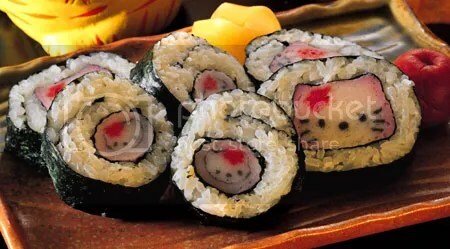 I love sushi, and I love Hello Kitty. I need to try some of this! Two of my favourite things made into one!